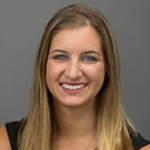 Rachel Lettieri is in the Masters of Science program in Child and Adolescent Behavioral Health at the University of South Florida. Rachel is passionate about influencing change and advocating for policy decisions in favor of children’s mental health. During her internship with the Children’s Mental Health Network, Rachel will be conducting a 50-state scan of existing and proposed legislation designed to strengthen quality standards for residential care programs. In addition, Rachel will be assisting the Children’s Mental Health Network in building an online platform where families in crisis can receive appropriate and pertinent information that will help guide their decision-making about treatment options for their child.